Frequently posting great quality video content is arguably the single most effective organic SEO strategy currently available. That means a drastic increase in targeted website traffic, significant increases in social media sharing and, most importantly, more paying customers for your business! In this post I share the latest stats and insights into why video is absolutely critical to your content marketing success in 2015. I then share some of the most effective tools, tips and techniques for producing your own great animated video content for free. 70% of the body’s sensory receptors are in the eyes! That makes strong visual story telling critical to effective digital marketing and branding through the search engines and social media. The key question here becomes: How can you sell anything through digital marketing and online branding efforts if people don’t even know your business exists? Video content is arguably the most effective form of visual content for getting more business and customers. To put it simply, video is the best of the best when it comes to visual content marketing. Video is the most powerful way to clearly convey the unique value you have to offer your ideal customers. There’s no better way to realize the #1 goal of online marketing: to show potential customers you’re the top choice for solving their immediate real world challenges and pain points. Ideal customers are all those folks out there who are looking to pay for your product or service right now. But they can’t find you in all the noise (yet) when they search Google, Twitter or Facebook. Get Lots More Traffic- 75% of visitors go to a website after seeing a video about a company who has products or services they’re looking for. Put ‘Visitor Bounce’ in Reverse: One of the biggest challenges faced by online marketers is keeping their visitors truly engaged so they stay long enough on their blog, website or landing page to really share their value proposition and make sales. Visitors stay a full 2 minutes on a site with great video as opposed to 8 seconds on a site with only text. As any leading content marketing expert will tell you: That extra 1 minute and 52 seconds is sales window that’s potentially worth its weight in diamonds! 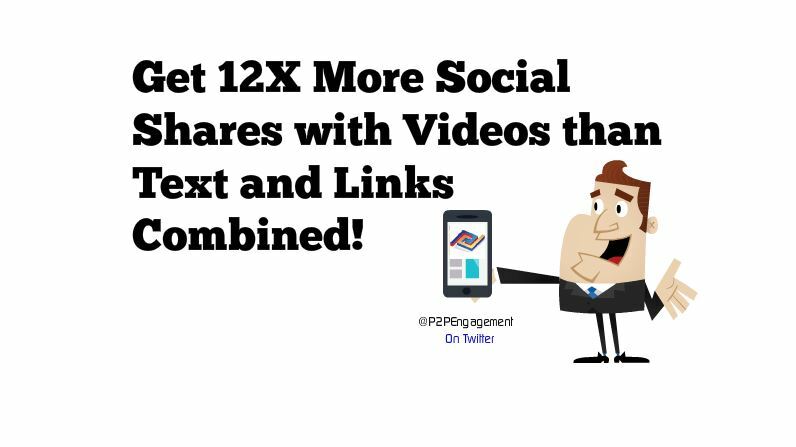 Stronger Social Shares – You get 12X more shares with videos than via text and links combined! Deep Follower Engagement – 70% of people have very strong recall for audiovisual information after 3 days! The more great video content people see and hear about your business: the more likely they’ll remember you when it’s time to make their purchase. 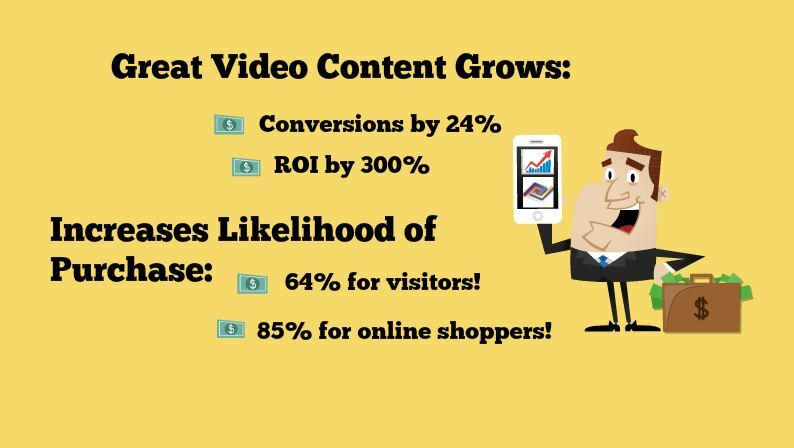 Most importantly, the use of video directly translates into Increased Sales and ROI!!!! Most buying decisions are strongly rooted in the emotional experience an online brand inspires. It’s not just about the facts and figures. Although, as we’ll explore shortly, telling your business story effectively with strong, easy to understand infographic data is also extremely important. 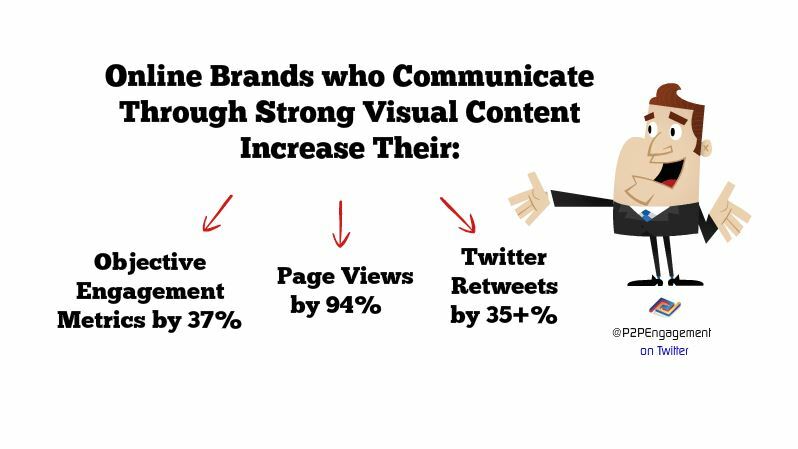 Visual content designed to bring out strong bursts of excitement and/or delight are 200% more effective than the usual text-only sales or blog copy. It turns out that great animated video content, including: animated explainer, “How to…” and video infographics, are particularly effective for both inspiring positive emotions and for communicating your business “value-story” through data. And Powtoon puts all of these tools right at your fingertips! 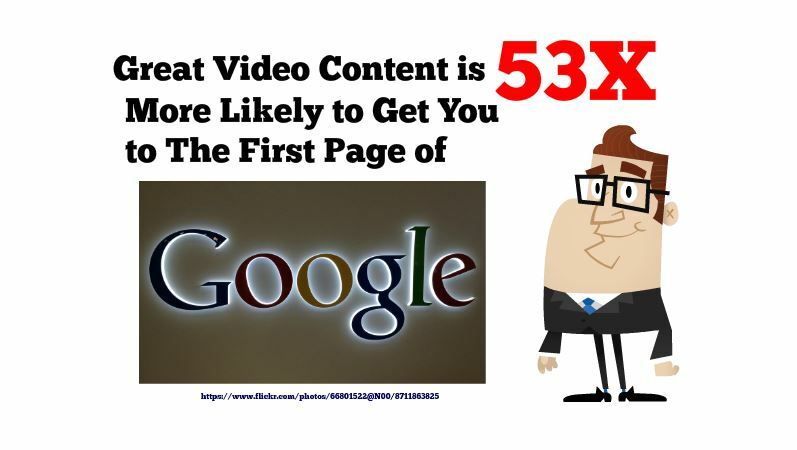 Ok, so now you know why video is critical to your online marketing success. You’ve also learned a few general tips for creating great video content. You’ve also seen that using powerful video animation elements in your digital marketing content will give you serious competitive advantage over competing businesses. This increased engagement comes from effectively inspiring strong positive emotions while at the same time communicating and energizing your business message. So what are the 3 biggest challenges you face if you want to frequently create and share great animated video content from scratch? Outsourcing the production of animated explainer, “how to” and demonstration videos can cost a fortune, – literally hundreds and very often thousands of dollars each! Powtoon is the #1 free animated video and slide presentation creation tool for 2015 – period. Powtoon empowers you to frequently craft and share rich visual content on your blog and social media accounts. With Powtoon you can you significantly increase your chances of getting more views, stronger social signals and more real paying customers. Powtoon makes creating great animated video content fast, fun and easy. And what’s really great is that you can start making and sharing videos right now – and it’s FREE ! Tells your story through the experience of a main character. 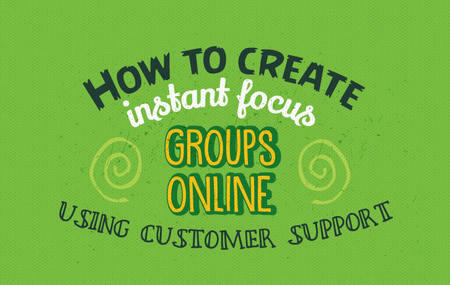 This allows your ideal customer (external or internal) to really connect in the first person. The Powtoon platform has so many characters and time-saving, theme-based templates for you to choose from. Next, clearly and simply state your ideal customer’s top 1-3 pain points. For example, what real-world problems or business challenges will you solve with the information you’re going to share next? How will what you’re teaching them in your video directly benefit them in real life? Next clearly explain or communicate your top tips, tools or strategies for solving your ideal customers’ main problems or pain points. Give them your best action steps and strategies for free every time. These are things your viewers and followers can start doing right now to create genuine and immediate value in their lives. Treat your viewers like high paying customers and that’s what they’re more likely to become! Describe the solution state: Simply and clearly describe what it’s like for your main character now that he or she has implemented the solution or strategy you’ve outlined in your video. You want to clearly convey what it looks like and feels like now that they’ve started implementing your tips or suggestions. Don’t forget to use language, characters and images that inspire those positive emotions we discussed! Finally, clearly state your call to action. This is where you invite your viewers to take a specific action step that further connects them with your business. For example, many successful digital marketing campaigns offer additional high-value tips and strategies via an animated video series, a free Ebook or white paper, in exchange for a viewer’s email address. You can then send them the free Ebook and at the same time add their email to your growing email marketing list. You can then send them fresh, high-quality video marketing content which has a much higher ROI then the usual text and static image based email marketing copy by the way. Quick Tip: Put an explainer video at the top of your blog or business website. Just like you notice a headline when it’s at the top of an online article or newspaper, you want to put the video where it immediately catches people’s attention. When it comes to optimizing your content for the search engines and generating high levels of follower engagement, keyword research for your video titles is incredibly important. So is writing an emotionally inspiring title for each new video once you’ve selected your keywords. But how do you do effective keyword research? Now that both Google and YouTube no longer offer their free keyword research tools? That’s easy! Try: Ubersuggest an amazing free tool that lets you do quick and effective keyword research. Just type in your keywords and the tool will generate several suggestions based on what people are actually searching for right now in your business or personal branding niche. Buzzsumo is another powerful free tool you can use to see what content and content titles are receiving the highest number of social shares and engagement. Buzzsumo is great for curating and integrating the hottest online content for your niche and for brainstorming your own unique video and blog title ideas. 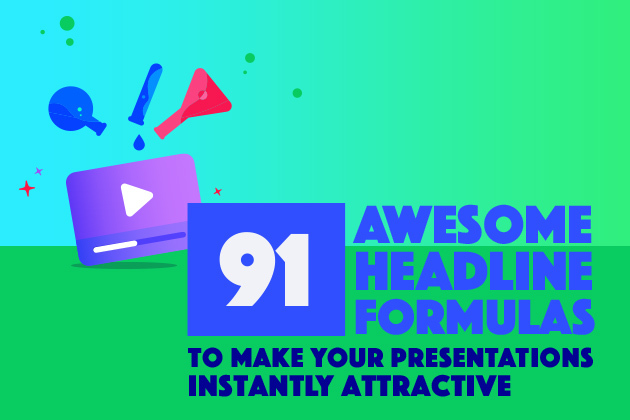 Once you have a good idea of what your next animated video or Powtoon slideshow is going to be about, it’s time to write an emotionally magnetic title that will actually grab and hold peoples’ attention. You need to check out Coschedule’s amazing new headline analyzer tool. And it’s completely free! Just type in your rough video title idea. The app then analyses and grades your title. For example, the title of this blog post scored an A+ after I made a few changes based on the app’s suggestions. The Coshedule title tuning app provides easy to understand feedback and suggestions you can follow to make your titles more emotionally appealing, stickier and ultimately: more socially shareable. Keep typing in each new title refinement you come up with based on the feedback you get until your title scores an A+ as well. And remember: A shorter title is a much more effective title. One of the most important tips for video content creation is to keep the length of your videos at or around 60-90 seconds maximum. That’s the optimal length for keeping the average viewer’s sustained attention on YouTube. There’s always an exception to the rule. Some “How to..” videos or business presentations can be longer. Just be sure to keep your longer videos super-fresh and super-valuable. So how do you keep most of your animated videos short and to the point? One of the main reasons hiring a company to create animated videos is so expensive is that they actually draw up an animated storyboard for each video from scratch. That can take several dozens of hours of work on the part of a professional animator or team of animators. So what’s the solution? Simple: when creating your animated video content with Powtoon use your audio voice over as a kind of audio storyboard to construct your video around. Well, first you need to write your script for the video based on the basic storytelling principles we talked about earlier in step 2. Remember to keep it short (usually around 200 words) because you want your video to be no more than 90 seconds long in most cases. You can then do your own “voiceover” by reading and recording your 60-90 second script. You can also hire one of the amazing and surprisingly affordable voiceover artists Powtoon recommends via VoiceBunny or Fiverr.com. Once you have a 60-90 second voiceover of your written script recorded, just downloaded it directly to your new Powtoon video as an audio file and select the background music of your choice. You can then use the voiceover you’ve recorded to create your new animated video frame by frame! You can actually add great animated video characters, graphics and whiteboard-style text and other effects. Oh and don’t worry! Powtoon walks you through a fun and fast set of short animated tutorials right from square one. You’ll honestly become a Powtoon video creation expert in no time! Infographics are arguably the most powerful way to visually communicate bottom-line business value. Not only that: but Infographics are among the most shared form of content on social media next to great videos. That makes combining the incredible power of animated video with infographics a complete no-brainer! How do you add infographics to your Powtoon videos and Slide Presentations? Powtoon offers some great animated video infographic templates. This lets you build your own infographics as part of your animated video or slide presentation process from scratch. Once you’ve created your infographics you can save them and download them as images directly into your animated video or Powtoon slideshow. Quick Tip: The best place to add your infographic content is when you get to the part of your audio script where you outline the key business and personal benefits of the strategy, tips or tools you’re suggesting in your video. Once you’ve finished creating each great new animated video, you want to share it across all of your most important social media channels. When it comes to video content marketing, posting your videos to YouTube is the first place to start. Why? Because YouTube is the second largest search engine after Google, and of course it’s actually owned by Google. Not only that, but the Google search engine ranks YouTube as a high authority website. So, when you post a live link to your blog, website or landing page directly at the beginning of your YouTube video description, you’re actually creating a very powerful backlink for your blog or website. This is a little known yet very powerful organic SEO strategy you need to be taking advantage of as often as possible. Powtoon makes downloading each new animated video you create to your YouTube channel fast and easy. And you can download to YouTube right from your Powtoon dashboard. Once your new video goes live on YouTube, it’s as simple as clicking the social share buttons under your video and sharing them across all of your most important social media accounts! Make Sure to Write a Great Video Description of the Value It Offers Your Viewers in the Video Description Section. Tip: Use Your Written Video Script as the Basis for Your YouTube Video Description. Think of Your Video Description as a Kind of Mini Blog Post. Videos with a few hundred words of description outperform similar videos with a very small or poorly written description. Add 4 or 5 of Your Most Important and Relevant Keywords to The Tags Section of Your New Video Page. 12X more shares than text and links combined! So what’s your next best step? Sign up now for your Free Powtoon Account! In just a few minutes you’ll be making animated marketing and explainer videos that people will love to watch and share! It’s really fun, it’s really easy and it’s really good for business!